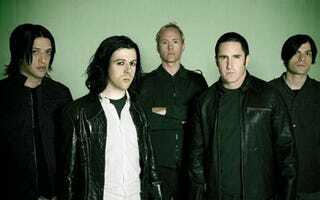 Fans of Nine Inch Nails and the fan of Shinedown will be thrilled to learn that tracks from both artists will be coming to a Rock Band near you next week. While the Shinedown tracks may not be headline news, the update on the matter indicates that one of the band's tracks is "exclusive to Rock Band." We expect to hear more of those types of announcements throughout the year. Your weekly Rock Band update, which hits starting Tuesday, is after the jump.